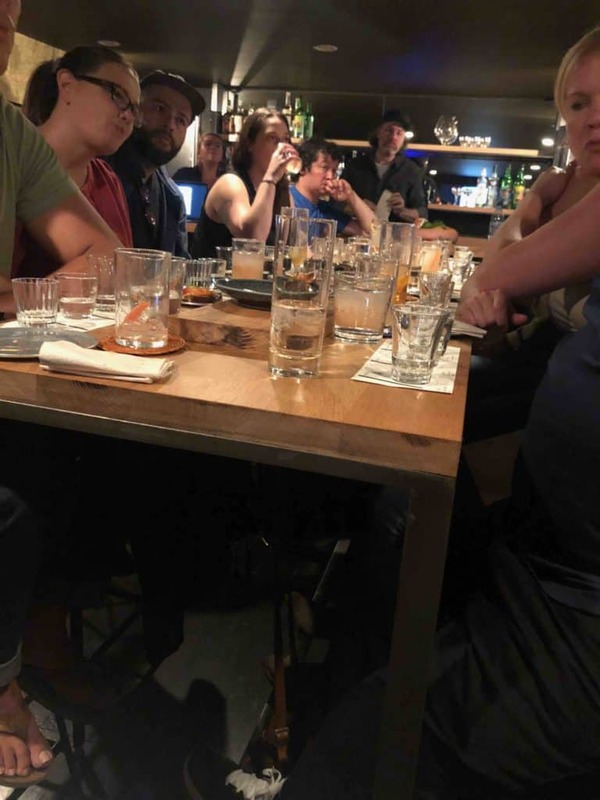 Recently I snagged the last ticket to an intimate mezcal tasting at ABV’s refashioned upstairs event room.Marco Ochoa of Mezcaloteca and Andrea Hagan of Mezcouting were in town and had coordinated a tasting with ABV’s Ryan Fitzgerald. The audience was a cluster of local bar culture from all over the Bay Area, Prizefighter to School Night, and all the locations in-between. And what a show, while we only tasted three mezcals, they were all so distinct and emblematic of vintages, agaves, traditions, and techniques that it was hard to step away after two hours of tasting and conversation. Oh, and the incredible food from ABV’s always on point kitchen. I return for the cocktails but here’s hoping that they put that chickpea flour poundcake with dates onto the menu because it was a dessert of beauty. And that was just the end of the meal, but I digress. The bartenders and mezcal curious at the Marcho Ochoa tasting at ABV. 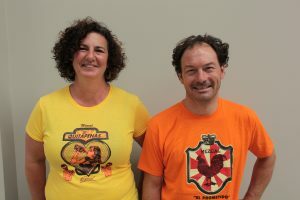 Marco and Andrea introduced the evening by talking about the mezcals that they present as only the bottles that their producers drink. 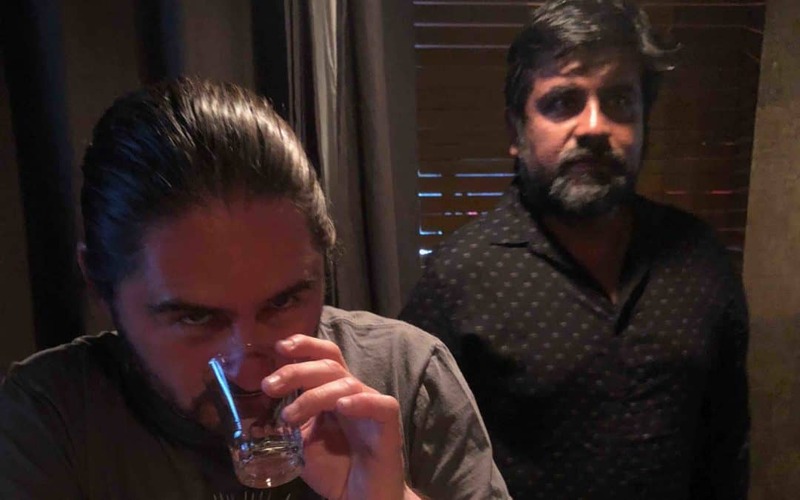 Leaving aside for the second that we’ve met a fair number of maestros mezcaleros who don’t drink – the point was well taken. Marco focuses on finding bottles for Mezcaloteca that express their creators’ ideals. 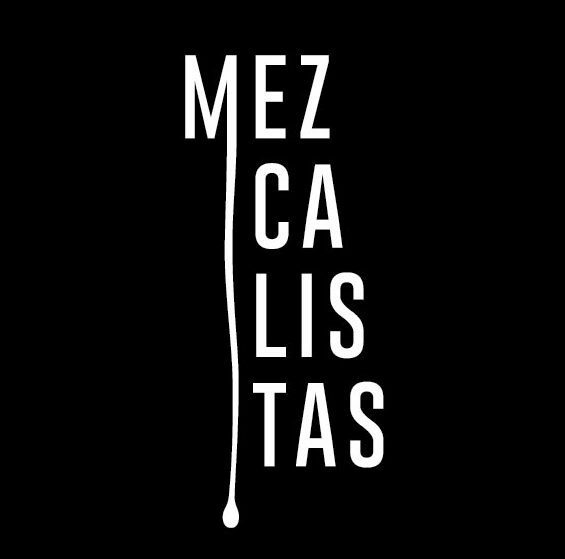 Anyone who has been to Mezcaloteca knows just how stunning their bottles are, we’re all fortunate that some of these are now available through their US export label Mezcalosfera which is imported through Heavy Metl Imports; now you don’t need to bring bottles back with you, they’re available right here throughout the year. Each of the mezcals was incredibly distinct. A nicely condensed bit of information for the tasting. Marco introduced this bottle as a highlight of another era because it was harvested before the mezcal denomination went into effect. It dates to 1998 meaning that all the agave was planted well in advance of the 1994 announcement of the mezcal denomination. Then it was rested in glass for 15 years before bottling. The patience to hold it that long was amply rewarded. 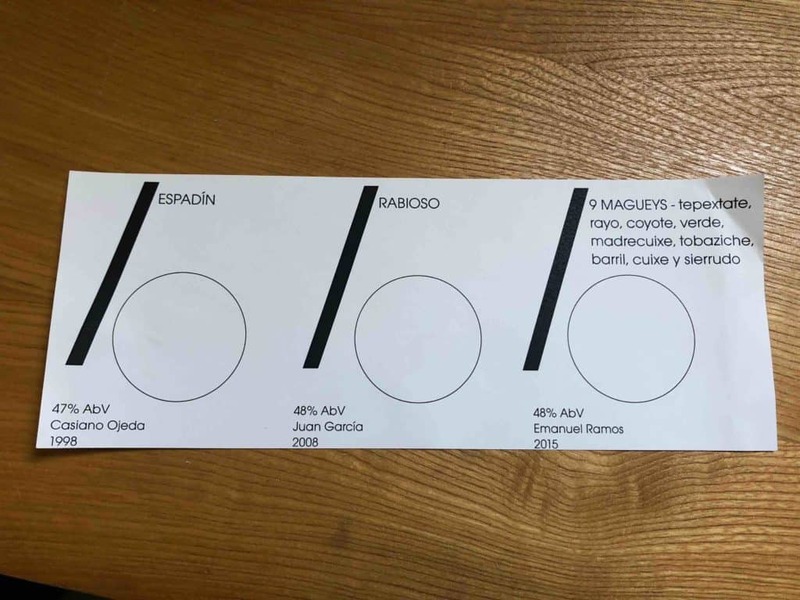 The espadín starts out tasting so so clean, like a minimalist mezcal which has stripped out all the extraneous colors in order to get you to that one simple truth. While other mezcals emphasize the presence of a flavor, a fruit, mineral or roasted note this espadín from Casiano Ojeda is pure simplicity and integration. On the nose there is only the slightest whiff of granite and nuts, a hint of sage and cacao but that’s straining to extract particulars. The first thing you notice upon tasting it is that there is no viscosity, only an ethereally light body that reminds me of the term sweet water because it’s as light as water and as fresh as spring water. It evolves after your mouth warms to reveal a bit of salt water and carob. When you realize that it runs at 47% ABV it feels like a stunning achievement, a demonstration of what can be achieved in the mezcal world. I could drink it all night long, if only there was enough of it around. The strange Rabioso mezcal at the Marco Ochoa mezcal tasting at ABV. Translated to English rabioso means rabid. It is so-called because the distillation gets so foamy that it resembles a rabid dog foaming at the mouth, like a Jabali in the distillation process. They have to weigh down the fermentation vats with stones to keep all the fermenting agave mash in. The agave is a member of the Karwinskii family. Per Marco’s description, it is very small, about the size of a football. Marco also highlighted the water used in this distillation because it comes from a well and then the mezcal undergoes what is technically a single distillation but what approximates a two pass distillation within the same still because of the heat and cooling control process. As he described the process and showed us, you heat a standard mezcal pot still slowly and aggressively cool it by submerging the entire bell in water. As the vapor rises and hits that cold ceiling it falls back down for a second pass within the same vessel. We’re not distillers so that’s the best description we can offer right now. We definitely want to visit Juan Garcia on our next trip to delve into this topic further. The Rabioso has a really round nose with scents of chocolate, hints of pineapple, and roasted agave. The flavor is extremely herbal, it reminded me of a sotol’s aggressive borage type herbality. 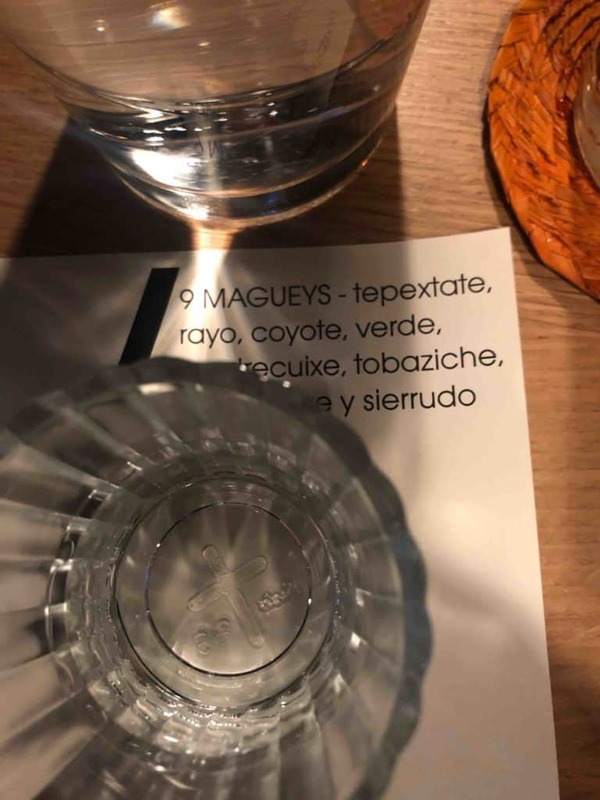 The 9 Magueys mezcal that Marco Ochoa brought for this tasting. This was a tasting experience that was as rewarding as the creation story. It starts with a nose of salt and seaweed, perhaps a whiff of sage. One person in the room described it as a bouquet of gin botanicals. When you sit it you’re met with a riot of similar flavors in a multi stage tasting experience; At first it’s all herbal, then there’s a wave of the traditional roasted agave, and a burst of citrus before dissolving away. Like the other two mezcals we tasted one of the hallmarks of 9 Magueys was incredibly smooth. 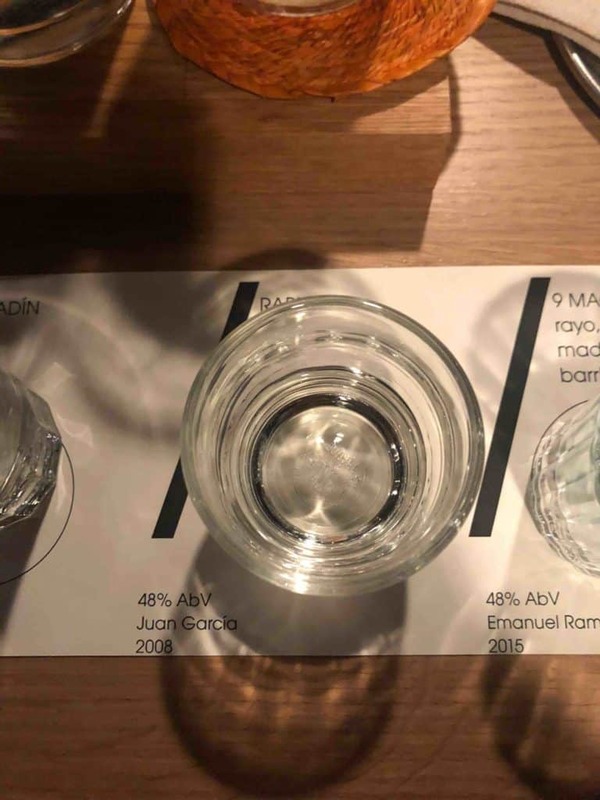 It had so little viscosity that it’s a reminder of just how big many mezcals are, it’s a great contrast to the elements that you traditionally associate with mezcals. 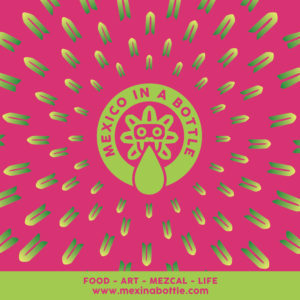 Designed like post cards, they lead you through the seven steps in mezcal creation and appreciation. Marco has a really nice set of post cards that illustrate and explain the full process of making mezcal. Hopefully he’ll be making those available either through Mezcaloteca or another avenue. If you get a chance, definitely get a ticket to any future ABV tastings. The experience in their upstairs room is its own thing. Sadly they aren’t doing their rotation of dinners there any more. Happily they’re still hosting tastings and special events. As am I – plan more of those tastings! 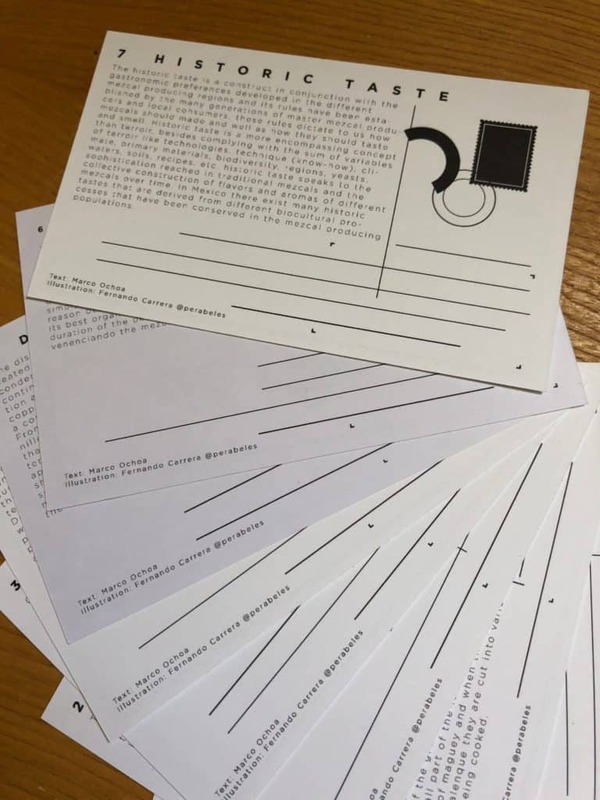 Max – this is a wonderful article. Great writing and fascinating topic. I wish I had attended…. You and Susan do such a tremendous job! I truly admire your passion and knowledge. Your site is 5 Stars and a perfect 💯 on the Mezcal scale! Please keep up the fantastic work.